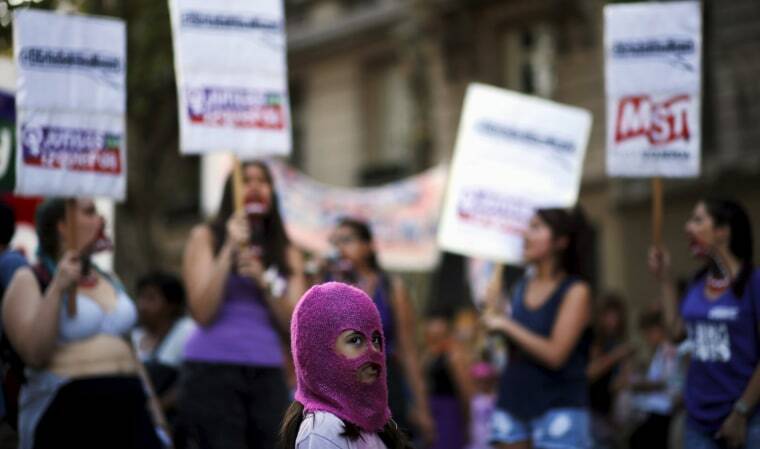 A girl wears a mask as women shout slogans during a demonstration to mark International Women's Day and to demand policies to prevent femicides outside the Congress in Buenos Aires, Argentina. 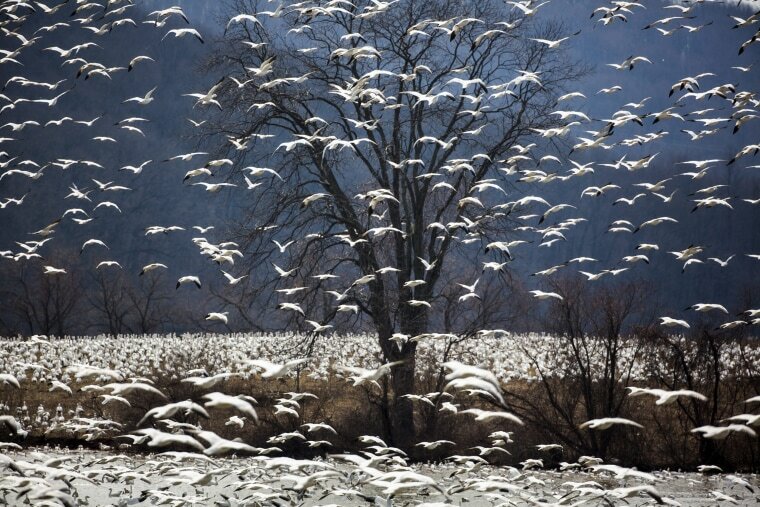 A flock of snow geese, which Middle Creek Land Manager Jim Binder estimated to be around 50,000 strong, takes off from the Middle Creek Reservoir near Kleinfeltersville, Pennsylvania. The snow geese stop at the reservoir to feed on marsh grass before continuing their migration north to their breeding grounds in the Canadian Arctic. 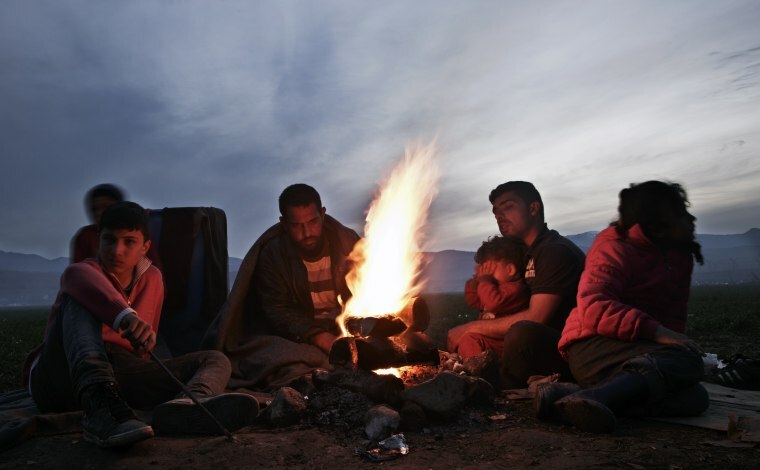 Migrants gather around a fire at the northern Greek border station of Idomeni. Greek police officials say Macedonian authorities have imposed further restrictions on refugees trying to cross the border, saying only those from cities they consider to be at war can enter. 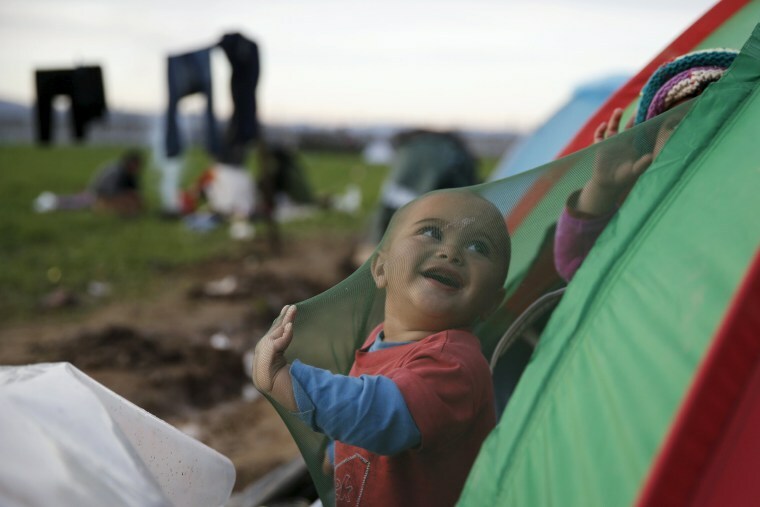 A migrant child whose family is waiting to cross the Greek-Macedonian border plays in his tent at a makeshift camp near the village of Idomeni, Greece. Thousands of people remain stranded in the refugee camp at Idomeni, hours after the European Union and Turkey failed to reach agreement on resolving the migration crisis. 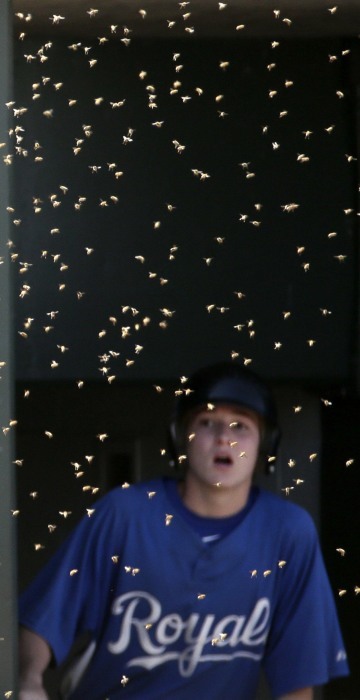 Troy Drake votes with two of his children during the primary election at Boise Bible College in Garden City, Idaho. 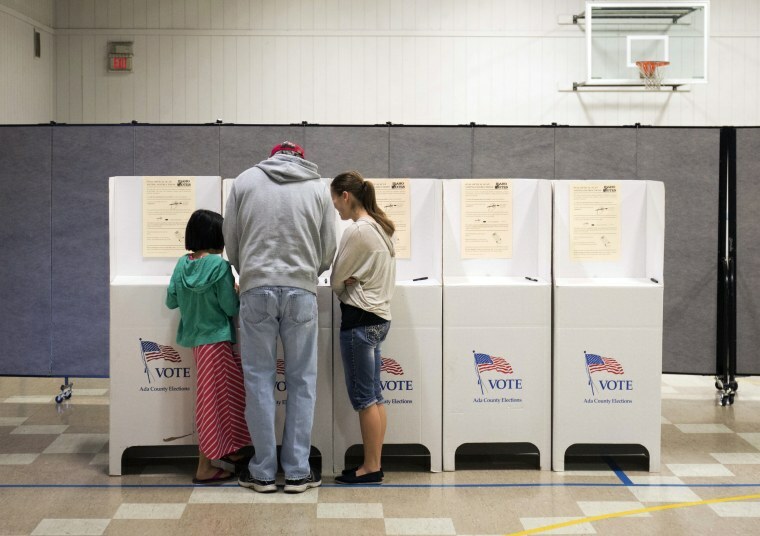 Four states held contests to choose presidential nominees Tuesday, with voters in Michigan, Mississippi, Idaho and Hawaii casting votes. 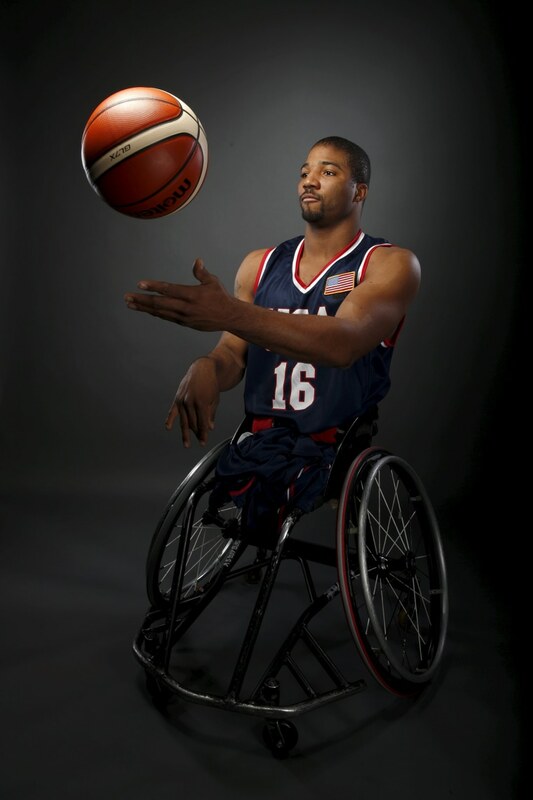 Wheelchair basketball player Trevon Jenifer poses for a portrait at the U.S. Olympic Committee Media Summit in Beverly Hills. 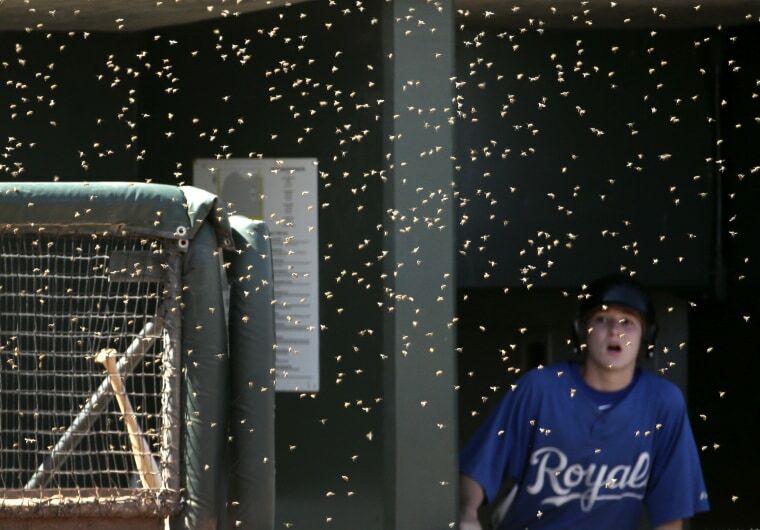 A bat boy watches as bees swarm near the Kansas City Royals dugout during a spring training baseball game against the Colorado Rockies in Surprise, Ariz. 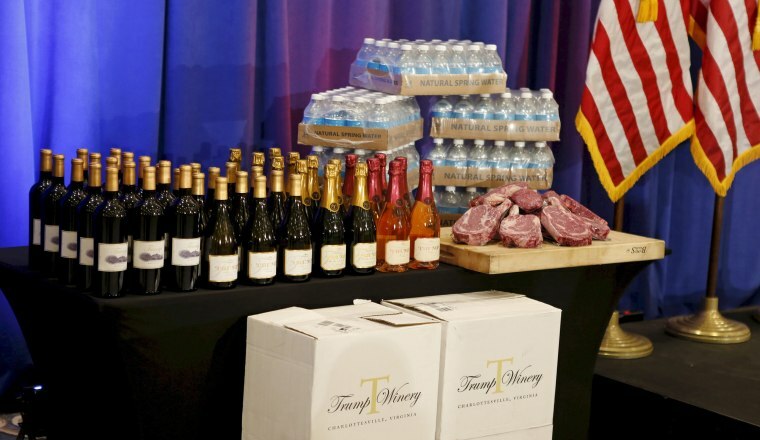 Steaks and chops described as 'Trump meat' are displayer near the podium with Trump-branded wines and water before Republican presidential candidate Donald Trump was scheduled to appear at a press event at his Trump National Golf Club in Jupiter, Florida. Israeli security forces search the scene of an alleged Palestinain shooting attack on Israeli police just outside Jerusalem's Old City. 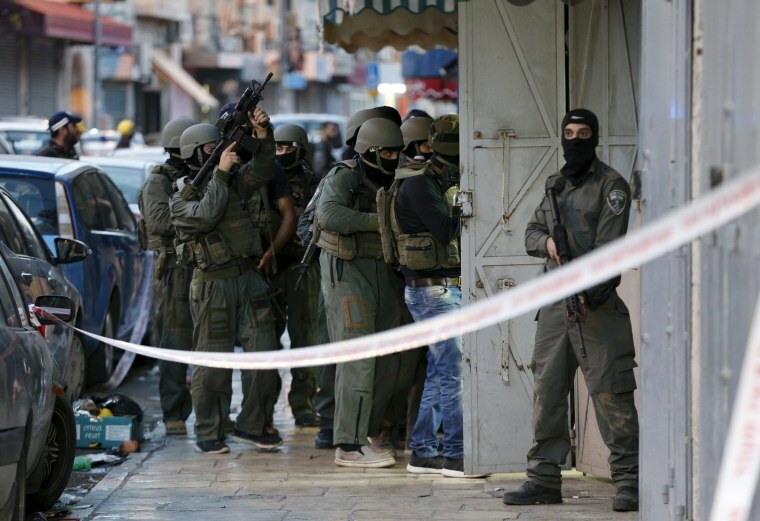 The attack is the latest in a wave of near-daily Palestinian assaults on Israeli civilians and security forces that erupted in mid-September. 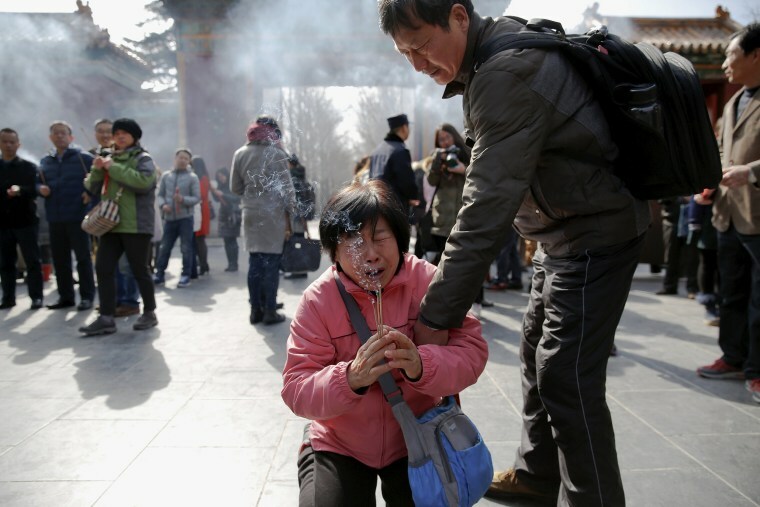 A woman falls on her knees as relatives of passengers of Malaysia Airlines flight MH370 burn incense and pray at Lama Temple in Beijing, on March 8, the second anniversary of the disappearance of the flight. Almost three-quarters of an internationally set 46,000-square-mile search zone has been covered so far in the hunt for MH370 — an area of ocean floor larger than the state of South Carolina.